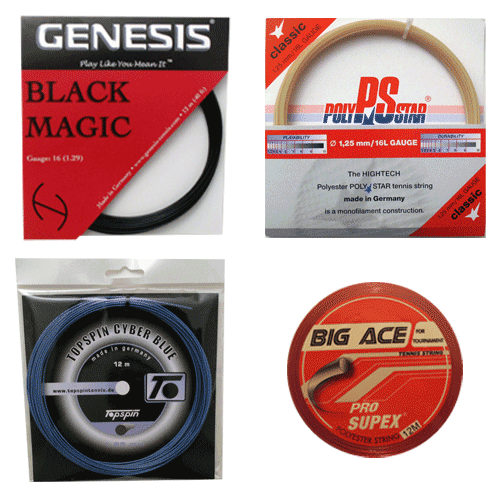 A slew of new Topspin strings now in stock! Yes that is right. 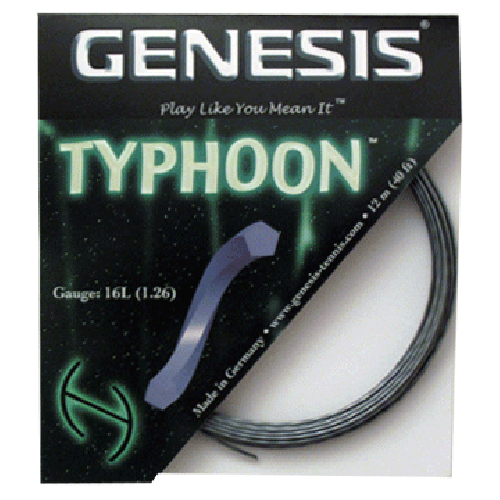 The new Topspin strings you have patiently been waiting for are now in stock. Four new strings from Topspin; all co-polys. Topspin Cyber Black and Topspin Cyber Red are round co-poly strings with a great combination of power, control and feel. Topspin Cyber Whirl Pentagonal has five edges for extra ball bite. Lastly, there is Topspin Cyber Twirl which is a twisted co-poly for extreme spin. All four of these strings are now available to order. Each of these strings come in sets, 110m reels, and 220m reels. 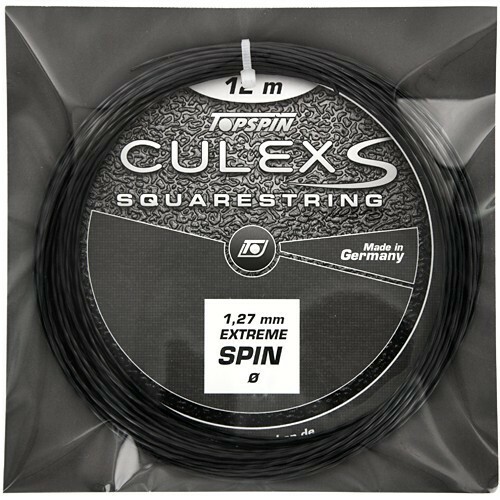 You may find more information on our Topspin String Page. In addition, we have developed a new sampler pack to serve those customers who are eager to try each of these new co-poly strings. At 20% off from the regular price, you can test each new Topspin string and find your holy grail. Click on the image below for details.